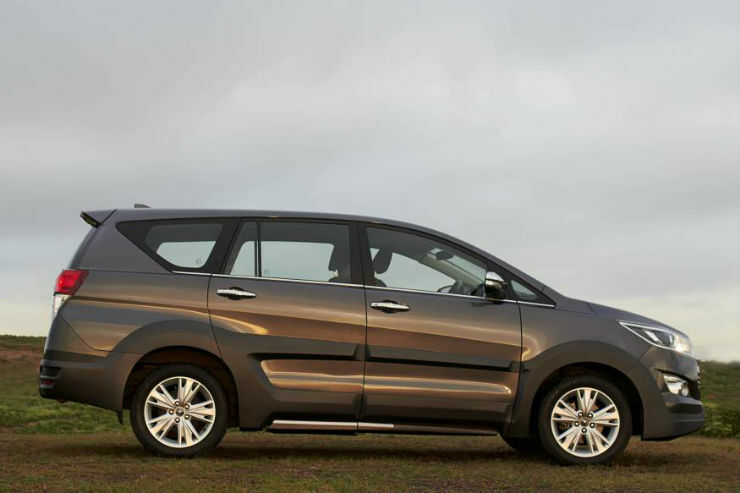 The Toyota Innova is a vehicle synonymous with practicality and comfort. With the Crysta badge, the vehicle also brings in the luxury tag to the table. The Innova DC lounge is one of the most commonly sold DC product in the Indian market. 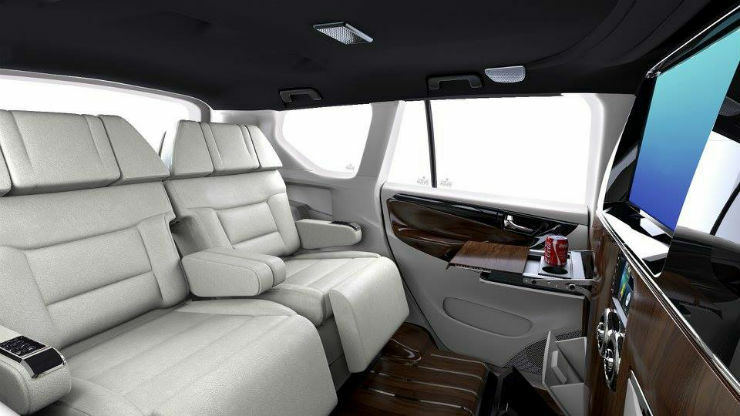 People who want a comfortable chauffeur driven vehicle with opulence, and the luxury of reclining seats at the back, opt for the lounge. DC Design has now given the Crysta the ‘Grand’ treatment. 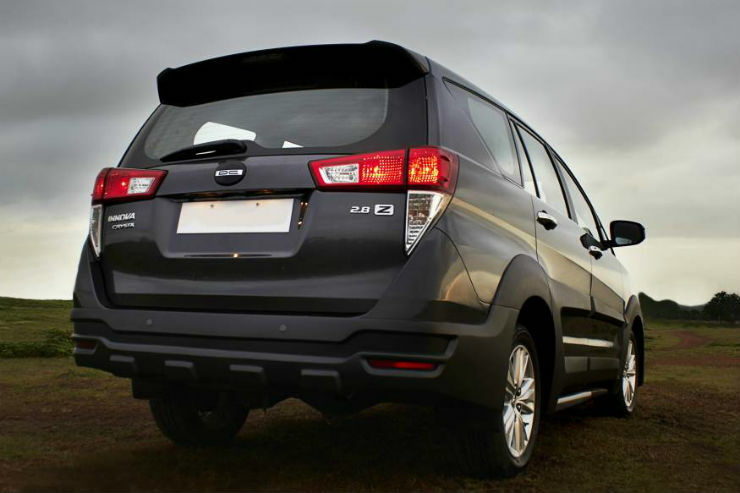 Unlike the older DC Innova lounges where there were no exterior changes, this one gets a DC exterior body kit as well. This one has been based on the top spec Z variant, which is not something you often see. Most people opt for the lower variants since the interiors are anyways getting re-done. The vehicle now has a custom DC grille, with the firm’s logos at the front and at the back. There is a body kit covering all panels of the vehicle. The bumper, fenders and the doors have gotten extensions. This adds more butch-ness to the Crysta’s design. 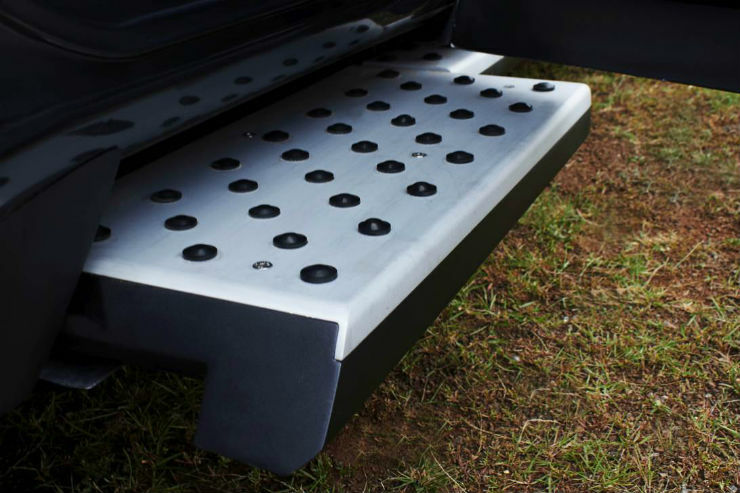 DC has also added a retractable side step, the comes out when you open the doors, to ease the entry and exit from the vehicle. The Crysta on its own is a luxurious offering, especially in the top end Z grade. This one has been taken to another level altogether. Like on every lounge, the two rows of seating have been replaced by two bucket seats, that have extended foot rests and recline, business class style. 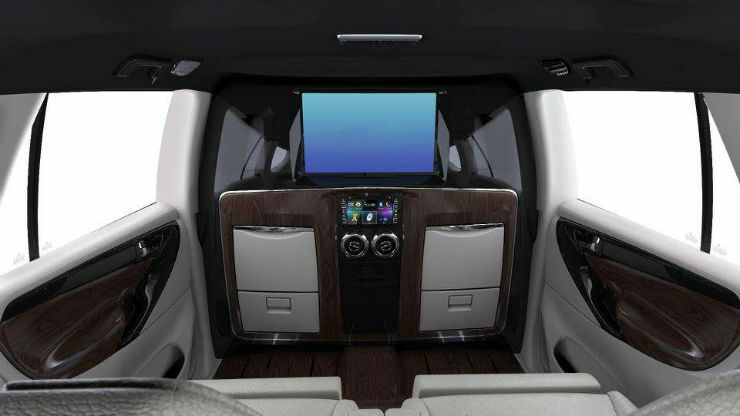 There is now a partition between the driver’s cabin and the rear, which has been finished in wood and has a TV screen. Having said that, the floor has been finished in wood too. All the rear controls have been placed on the partition, along with 2 foldable tables for working. The material on the door card has also been replaced with wood, to give it a more premium and luxurious feel. 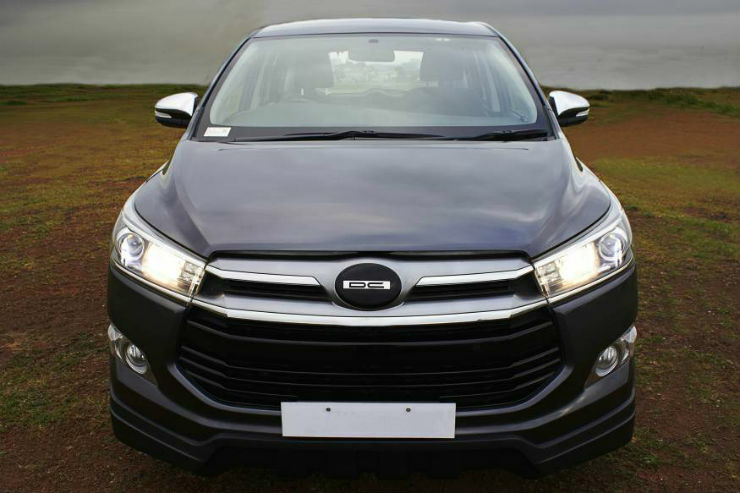 Pricing for the DC lounge begins at Rs 4.95 lakhs, over and above the cost of the car, There are a few styles and options to choose from, based on which the pricing will vary. 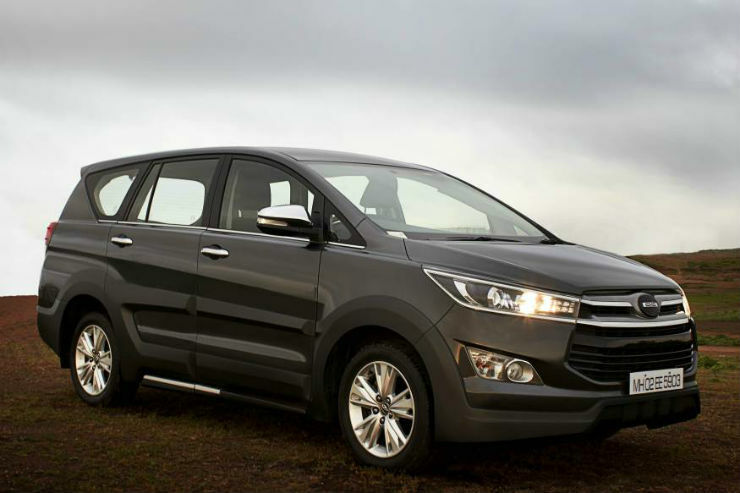 Most people though opt for the cheapest Innova variant to keep costs down, as we mentioned above.